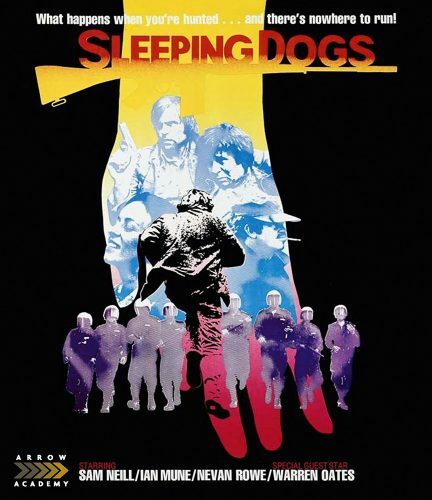 Sleeping Dogs Stars a Young Sam Neill , Jurassic Park Fame and his character is trapped between two sides that are at war with another. He doesn’t want to be apart of it but is dragged in from both sides, The Government has Questions via Torture and the Guerrillas forces him in with them in ways he has no idea he is even apart of it. Will he pick a side? Who is right and who is wrong? Will are lead even survive? The story is a good follow but does lag in some spots. The acting is god but the film isn’t a classic 5 star film and its hit with a medium rating. For me I did enjoy the film and found it interesting how are lead plays things out as he tries to stay out of all the war stuff or from picking a side to take for most of the film. But slowly does come around to one side as its forced by both parties. The action is OK not a ton it. I Enjoyed seeing Sam Neill looking pretty young and is his first major role. Overall the film was a good watch but again can get slow in spots. I say if you’re looking to see The Guy from Jurassic Park make his start, give this one a shot. The Blu-Ray looks good as well with good colors and sharpness. With that said I Give this film a 3.5 out of 5. Try it out.